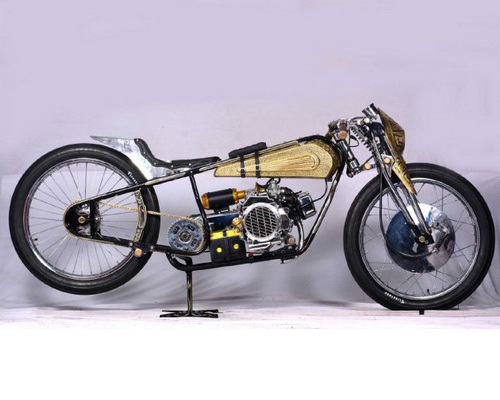 Tinuku ~ Dian Tito build boardtracker 1960 motorcycle style based scooter engine Honda Vario 125 2007 matic. 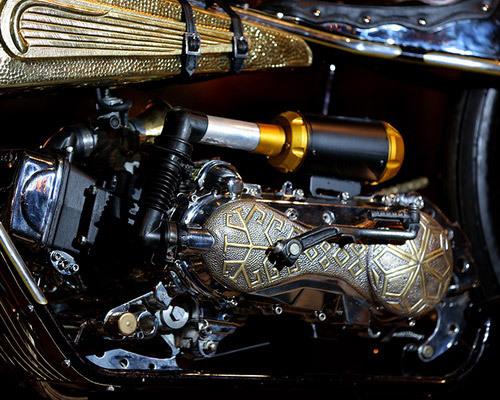 The work entitled The Flying Songket complete engraved Palembang songket patterned won the series Suryanation Motorland 2016 in Palembang and Kustomfest 2016 Yogyakarta. 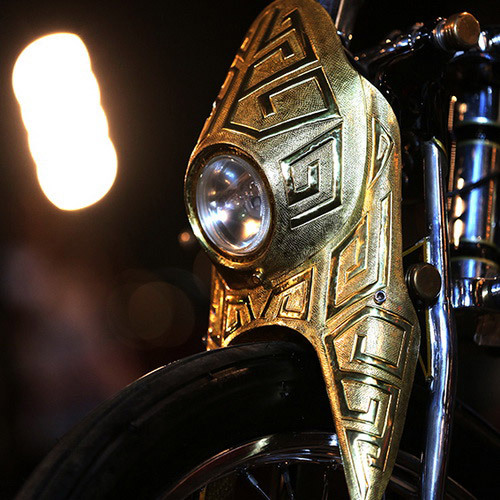 Tito Jaya Motor studio based in Palembang changing Honda Vario 125 2007 originally using plastic body into iron and brass plate engraved Palembang songket. The Flying Songket become the first champion in All Tracker class at Suryanation Motorland 2016 series in Palembang. 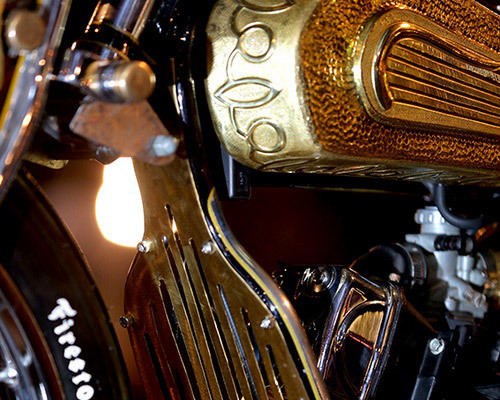 Handmade carvings on the headlights, the front cover of double tube and teardrop tank gives the artwork and luxury. 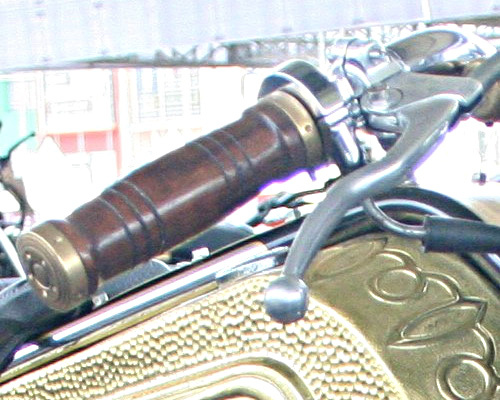 Hand grip using durian wood carved very impressive dan leather belt coiled on the tank adds to classic literature impression. As if the golden thread woven on piece of cloth effect brilliant sheen. 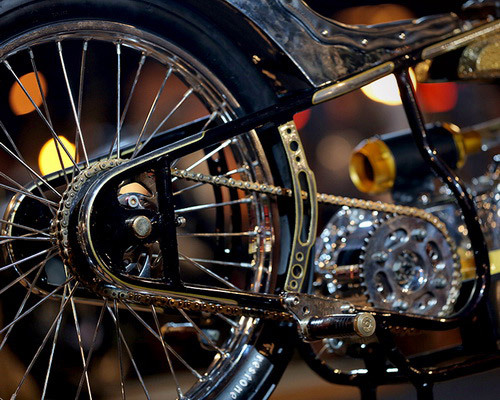 The Old School concept style boardtracker matic unload look drastically and accusatory nature factory. Almost all parts of looted with touch of handmade crafts. 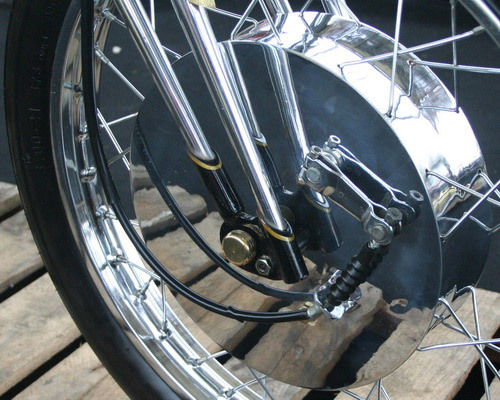 Rigid frame made of steel tubular pipe with black finish getting polished stainless steel accented with gold borders. The front of the system using single spinger shockbreaker supported and round lamp cover artwork etched as mask. 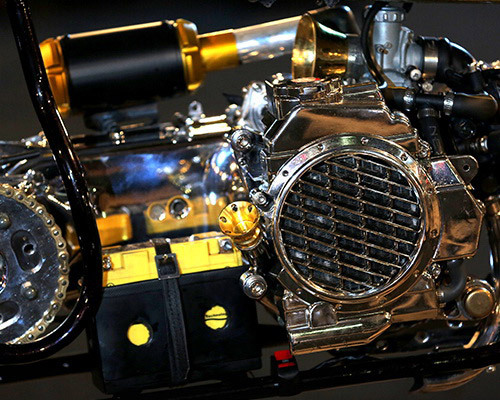 "The standard engine, but the CVT system changed in order to use the gear. 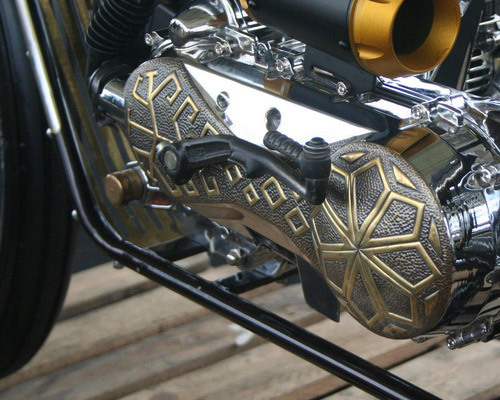 Songket from Palembang also present on my bike, my city culture," said Tito. All parts almost got touch of the handmade. Frame suffered cuts and additions, but the hardest part is the drum front. Tito took too long to carry out experiments to build drum and disc appear to be more different than the others. 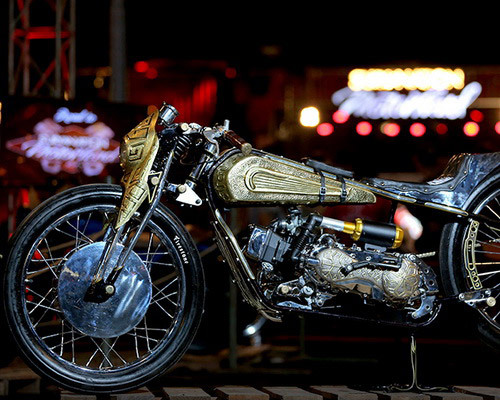 The Flying Songket along with the Naga Liman work of studio Psychoengine also champion Suryanation Motorland 2016 series in Malang and Kustomfest 2016 in Yogyakarta. Both of them along with two other Motorland Suryanation 2016 series champion sent to Yokohama Hot Rod Custom Show 25th in Japan. Hand grip: Handmade durian wood. Address: Studio Airbbrush TJM FAC, Jalan Sapta Marga 6, Kalidoni Housing, Palembang, South Sumatra.